The Institute provides Policy Research & Planning and Real Estate services, and as a non-profit organization, is also eligible for charitable contributions.  The Institute can serve as a conduit for charitable donations supporting Bi-State Development goals and specific community activities. Examples of charitable donations to the Institute may include real property donations that could be used to support Transit-Oriented Development projects or personal/foundation cash donations in order to secure tickets for MetroBus or MetroLink rides for specific and deserving groups. As the Institute is recognized by the Internal Revenue Service as a 501(c)(3) organization, contributions used exclusively for governmental purposes are considered deductible by the donor and generally, the income of the non-profit will be exempt from tax.